Former Packers WR Donald Driver will announce the Packers’ second-round pick in the 2015 NFL Draft in prime time on Friday, May 1. The league’s annual tradition of using NFL alumni to announce teams’ picks in the second round is continuing this year. Driver, the Packers’ all-time leader in receptions and receiving yards, will be Green Bay’s representative at the Auditorium Theater of Roosevelt University in Chicago. The second round begins at 6 p.m. CT next Friday. Past Packers alumni to be tabbed for the honor have included RB Jim Taylor, S LeRoy Butler, LB Dave Robinson and WR James Lofton. Last year, Lofton announced the selection of WR Davante Adams in the second round. Nearly a month before its official release, former Packers WR Donald Driver’s official memoir, “Driven,” has climbed to No. 7 on Amazon.com’s national best seller list due to pre-orders. “Driven” chronicles Driver’s life spent overcoming obstacles, including when he lived with his mother on the streets of Houston in a U-Haul trailer, all the way through becoming the Packers’ all-time leading receiver and winning the “Dancing With The Stars” competition. The book is scheduled to be released on Oct. 22. It can be pre-ordered through the Packers Pro Shop by clicking here. Former Packers WR Donald Driver announced on Tuesday a new annual awards program to be conducted through his foundation. Called “Donald Driver’s Driven to Achieve Awards,” they will be presented each year at a ceremony in Milwaukee in partnership with BMO Harris Bank. The awards will recognize eight individuals each year, with a minimum of five winners coming from the state of Wisconsin, for significant contributions to their communities. The inaugural awards will be presented in spring 2014. As stated in the press release, the “Driven to Achieve Awards” are open to all legal residents of the United States who can demonstrate they delivered a clear benefit to their community through volunteerism, mentoring, fundraising or any other not-for-profit means. Award winners will embody leadership, possess a dedication to excellence and will have displayed persistence and tenacity in reaching their organization’s goals. 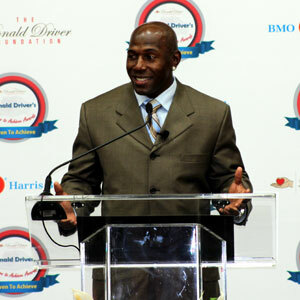 Detailed award criteria and nomination forms can be found at the Donald Driver Foundation website, www.donalddriverfoundation.com. 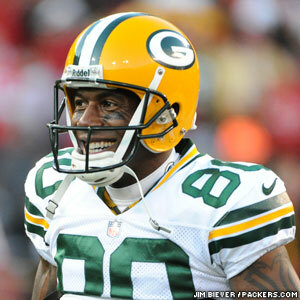 Retired Packers WR Donald Driver will make a series of guest appearances on ESPN on Thursday. Taking a turn as an NFL analyst, Driver will appear on SportsCenter at 10 a.m. CT, on NFL Live at 3 p.m. CT, and on NFL 32 (on ESPN2) at 4 p.m. CT. The recently retired Donald Driver will receive the 2013 AMVETS National Ladies Humanitarian Award next month. AMVETS is a congressionally chartered veterans service organization. 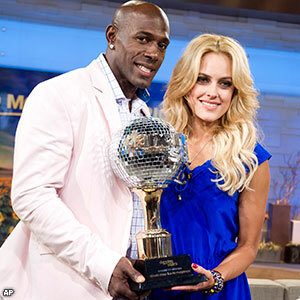 Green Bay Packers’ all-time leading wide receiver, Super Bowl Champion and “Dancing With the Stars” winner Donald Driver will be the 2013 recipient of the AMVETS National Ladies Humanitarian Award. AMVETS Ladies Auxiliary President Leslie Wunderle announced Driver will be presented with the award at the AMVETS Silver Helmet Awards Banquet on Friday, April 5, at the Hilton Mark Center, Alexandria, Va.
Driver is being recognized for his work with the Donald Driver Foundation through which he has helped homeless families get on their feet and underprivileged children succeed in the classroom. In addition to the work he does with his own foundation, Driver currently sponsors several hundred children through Blessings in a Backpack, an organization that helps ensure impoverished elementary school children are fed on the weekends by sending them home with a backpack full of food every Friday throughout the school year. Driver was nominated for the award by Cathy Tratz of Oshkosh, Wis., and was selected as the recipient at the AMVETS Ladies Auxiliary annual National Convention in Daytona Beach, Fla., August 2012. All available tickets for the Donald Driver retirement event on Feb. 6 have been distributed. More than 1,000 tickets were distributed, free of charge, on a first-come, first-served basis. Doors open at 9:30 a.m. for the event, which begins at 11 a.m. next Wednesday. 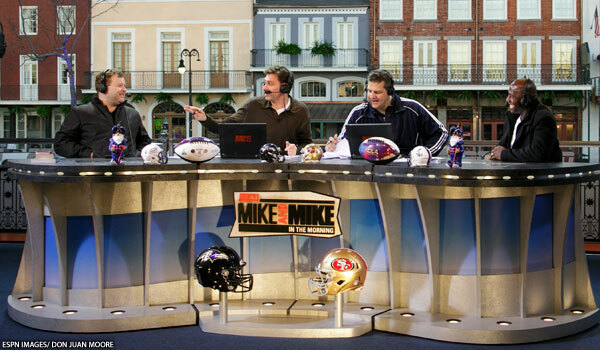 Packers WR Donald Driver made his retirement announcement on Thursday morning on ESPN Radio’s Mike & Mike In The Morning program, which was broadcasting live from New Orleans, site of Super Bowl XLVII. Driver joined hosts Mike Greenberg and Mike Golic on their radio set in New Orleans and was immediately asked what his future held. Driver went on to explain that he reached the decision after talking to his wife and kids at the end of the season, his 14th, all with the Packers. 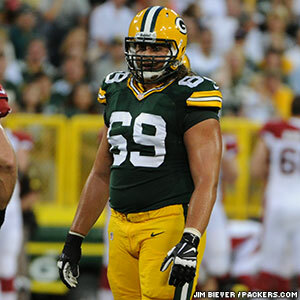 Green Bay was eliminated from the NFC playoffs in the divisional round by the San Francisco 49ers, who will play the Baltimore Ravens on Sunday in the Super Bowl. Driver didn’t delve into too many other details of his decision, saying he would save those thoughts for the public event at the Lambeau Field Atrium on Feb. 6. Driver said he was “at peace” with the decision, but he acknowledged there have been and will be some hard moments. He did emphasize, amidst implied jokes about his former QB, Brett Favre, that he’s not coming back. It sounds as though that next chapter will be as a family man. He and his wife, Betina, have three school-age children. Asked what he will cherish the most about his career, Driver didn’t single anyone or anything out. Driver didn’t get emotional at all in making his announcement, but he suggested that he probably would next week when he’s back in Green Bay. “It hasn’t really hit me at this moment,” he said. “I think it’s really going to hit on Feb. 6 when I have my entire family there and three, four thousand fans standing out there. The Brown County board of supervisors declared today — Thursday, Jan. 17, 2013 — as Donald Driver Day in honor of the veteran Packers wide receiver. The board made the proclamation at its Wednesday night meeting and read a statement from Driver, who could not be present. NOW, THEREFORE, We, Troy J. Streckenbach, Brown County Executive, Patrick Moynihan, Chairman of Brown County Board of Supervisors, along with the Brown County Board of Supervisors recognize Donald Driver and his overwhelming generosity to our community. And call onto all citizens to acknowledge and emulate his positive thinking and commitment to the community as a whole.